The Spartans were known as the rough and tough warriors of Ancient Greece. Do you think that you have what it takes to face them? 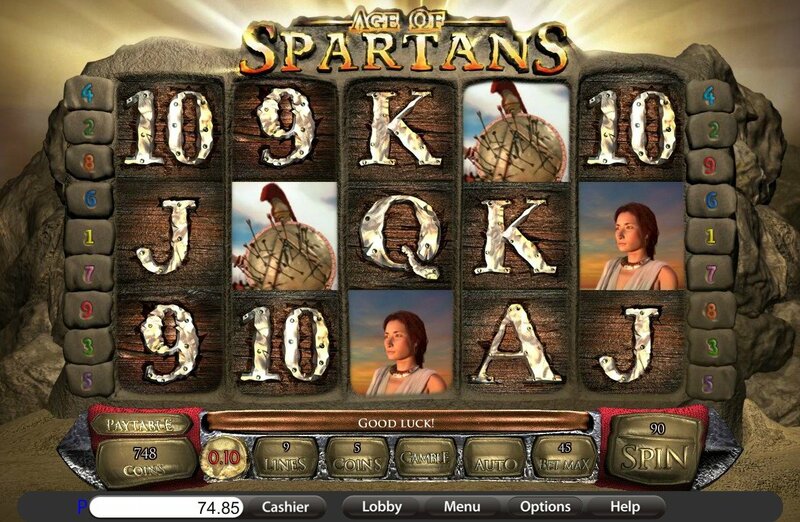 You’ll find out in the Age of Spartans new online slots game! As part of this game, you’ll travel back in time to the time of these warriors and pit your shields and spears against theirs. You will certainly need to have a lot of grit and confidence. This is Sparta! 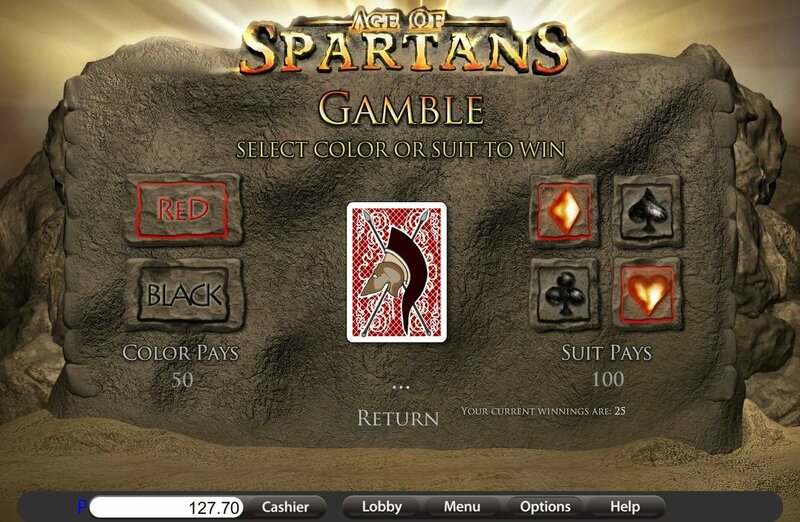 Coming from the global gaming firm Saucify, Age of Spartans has everything that you would expect from a battle-themed game. The graphics are quick enough to keep up with the action, and there is also a bold soundtrack to match. Saucify’s team of developers are known for their terrific premium games, all of which have had gamers hooked for quite some time already. Now they’ve brought out Age of Spartans to stand alongside their other slots such as Break the Bank and Digging for Dinosaurs. So, why wait any longer – it’s time to spin those reels! Visit SlotsBaby for amazing promo's and exciting games! Polish up your weapons and come meet your fellow warriors out on the battle field. King Leonidas is ready for you to join him as his right-hand man. It’s time for war! The background music should put you in the mood for some serious game action. You’ll find yourself in a barren desert with a stone game board right in front of you. There are five reels to spin and a lot of pay lines that could help you increase your winnings. The main symbols on the board, that represent the low values, are the numbers and letters. Those that show famous Greek items, including the Spartan helmet and battle banner, are the higher values that you need to try and align. There are also some fantastic bonus features in the game as well. WILD SYMBOL – Age of Spartans has a very royal Wild Symbol as it’s the main character, King Leonadis. He can replace any other symbol to create a win line, which can improve your jackpot. The only symbol that he can’t replace, though, is the Scatter. FREE SPINS – If King Leonadis is happy with your effort in the battle, he may reward you with some free spins. But first, you will need to spin three or more of the arrow symbols. You will then win an impressive fifteen free goes. Not only that, though, but you’ll be happy to hear that your winnings will be tripled during each free spin!